How do I order my maps online? When you have finished adding your products to your Shopping Cart, proceed to our straightforward Checkout where you will be guided through the ordering procees. Can I pick up my products from your office? Yes. Select “Pickup from Store” from our Checkout when completing your order and delivery costs will be removed. We will process your order and phone you when it is ready to be picked up. Our Store Front address is 2 Barina Downs Road, Bella Vista 2153. I don’t like doing things online. How else can I place my order? You can phone our office on (02) 8850 1044 and place your order with one of our friendly staff members. What if I can’t find the map I am looking for? At MAPTOPIA we endeavour to stock the widest range of maps available in Australia. If you cannot see the product you want please phone or email us and we will attempt to source the best product for your needs. 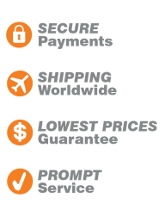 What payment methods are available when I purchase Maps, Guides, Globes or other products? In the MAPTOPIA Checkout we accept payment by Visa, Mastercard or Paypal. If you to prefer to pay by Direct Deposit please email or phone us on (02) 8850 1044 and our staff will be happy to assist. What options are available for mounting my wall maps? We can answer any further questions you may have with a quick call to our office.